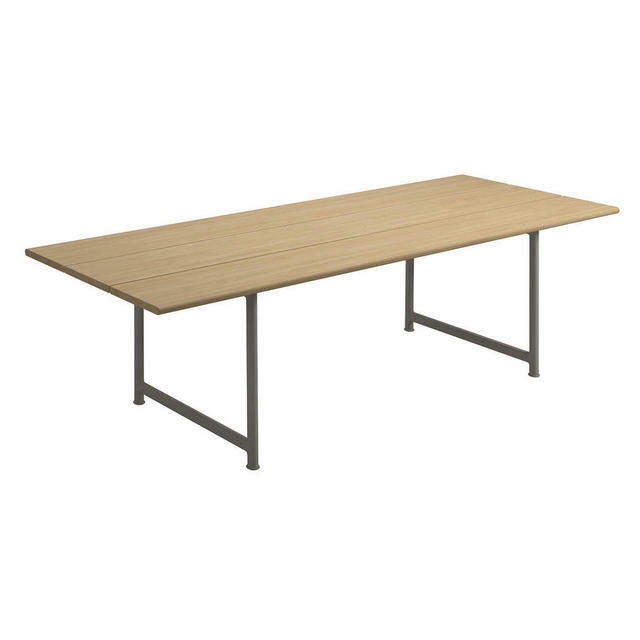 Simple, retro styled teak outdoor tables with a sleek aluminium frame by Gloster. 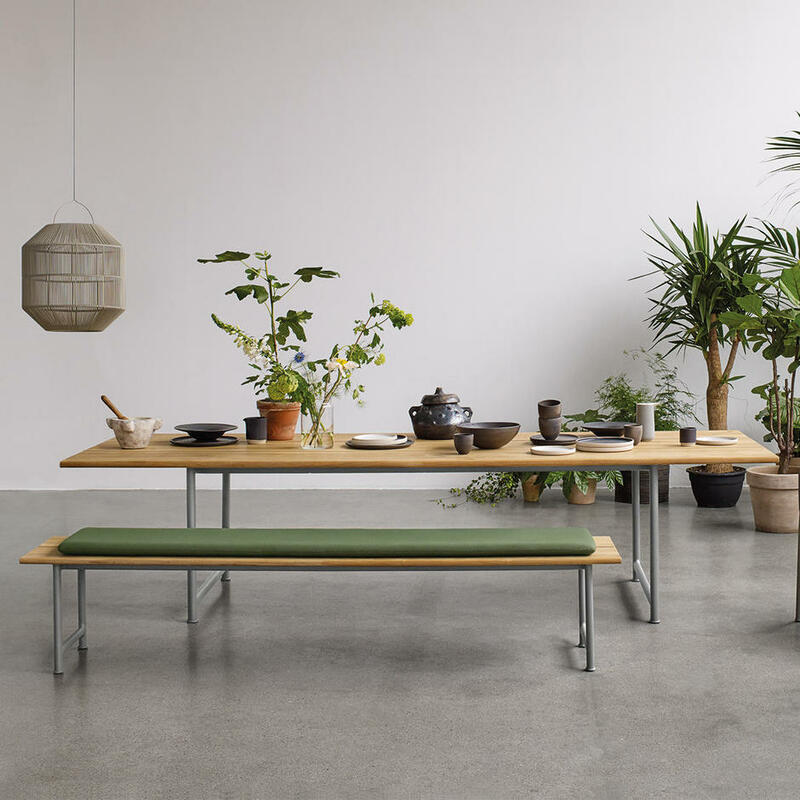 Atmosphere outdoor dining tables and benches are the best of cutting edge design by Danish designer Ceclie Man. 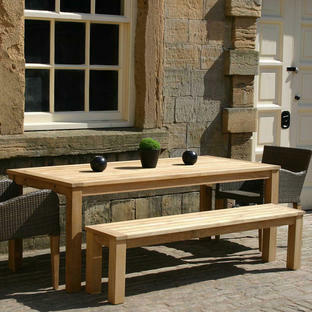 Using beautiful, natural teak the Atmosphere tables and benches are a classic piece of outdoor furniture but given a modern twist. 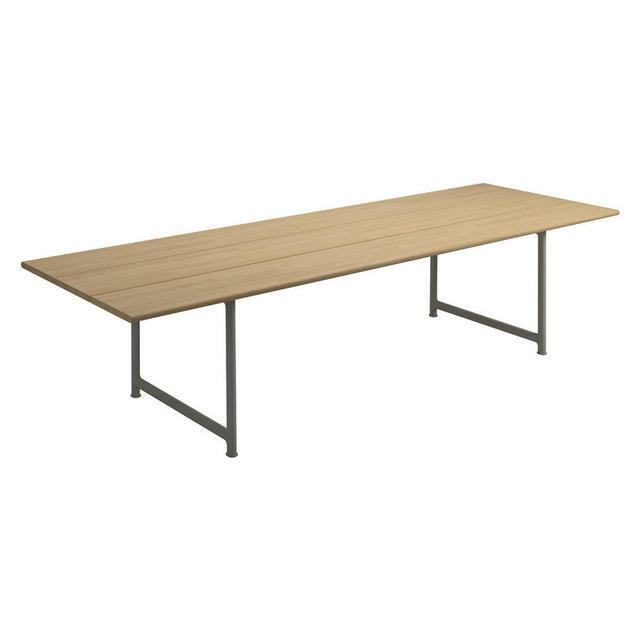 The table will sit perfectly in the transition zone of your home, a collection of furniture which is at ease in your interior space as your exterior space. The powder-coated frame is in Fossil (a soft grey, taupe colour). 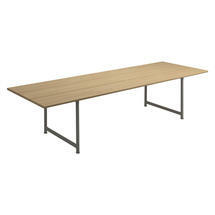 Team the tables with benches from the Atmosphere collection for contemporary, refectory style. 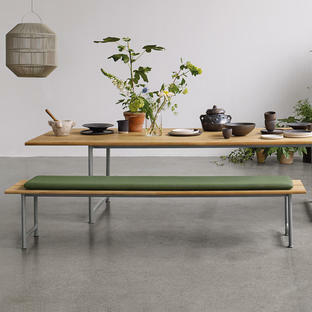 Or if you prefer back support and a little extra comfort the tables work perfectly with chairs from the Dansk range. 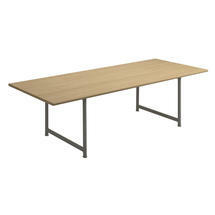 The table has a powder coated aluminium frame in Fossil. Natural finish slatted teak table top. The tables are without parasol holes. Used outdoors, teak will weather when exposed to the elements. 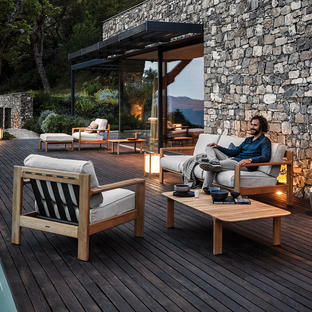 Over time, the natural teak colour will also begin to fade away and the furniture will gradually weather to a soft, silver-grey patina.